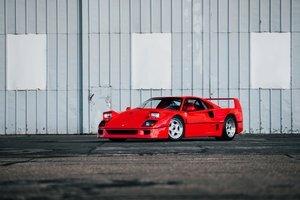 F40. Just mentioning the name instills the perfect balance of excitement and fear! 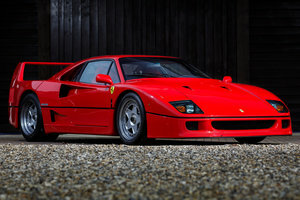 It is impossible not to get carried away with superlatives that the era defining supercar justifiably deserves and has been awarded over the years. Hardened journalists get misty eyed when remembering its launch, though incredibly it still ranks in the top of their ‘wish lists’ some 30 years later!! 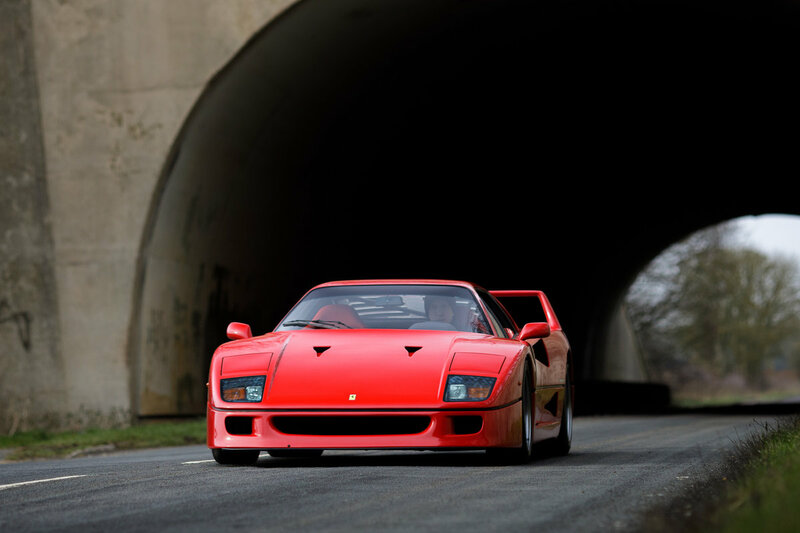 One of Pininfarina’s most recognizable shapes ever penned, the F40 was presented in 1987 to celebrate Enzo Ferrari’s 40 years of car production. 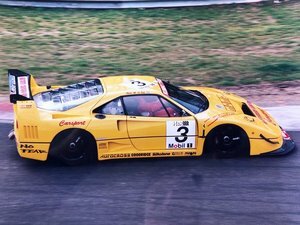 Poignantly the last ever car he showed before his passing some 14 months later. 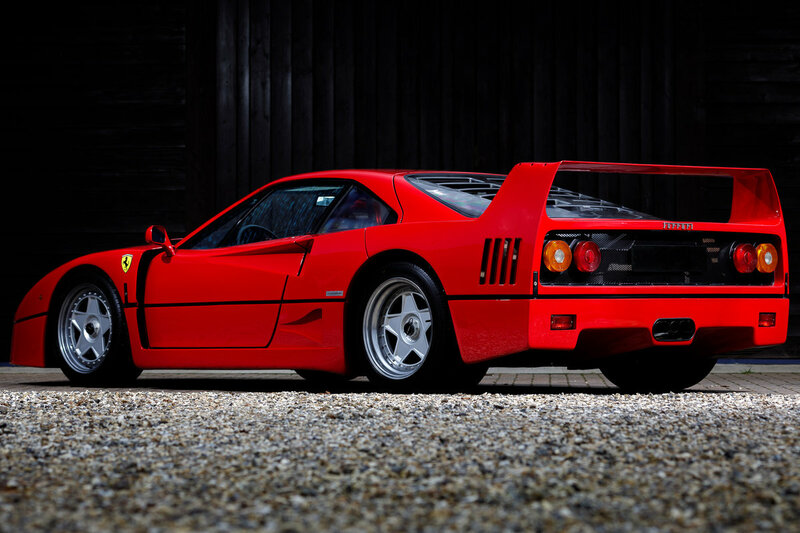 Developed from the limited-production 288GTO, the F40 was a two-seater, mid-engined coupé that mounted its V8 power unit longitudinally in the chassis (rather than transversely like the 308/ 328) a layout that greatly simplified the accommodation of the twin water-cooled IHI turbochargers. 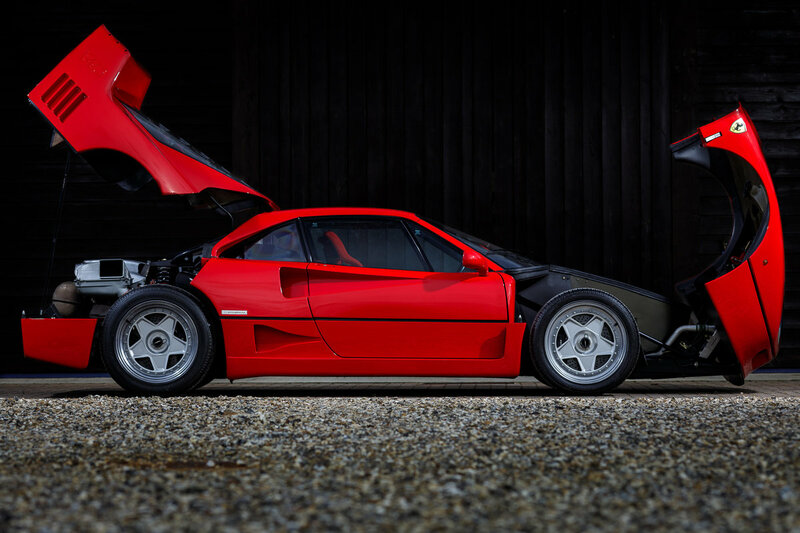 Enlarged from the 288GTO’s 2,855cc to 2,936cc for the F40, the four-cam, 32-valve motor produced 478bhp at 7,000rpm, some 20 percent up on the 288 which propelled the F40 to break the magical 200 mph. 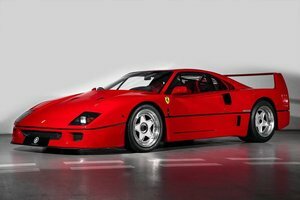 Whilst the GTO had pioneered the use of composite panels, the F40 was the first whose bodywork was constructed entirely from such materials. 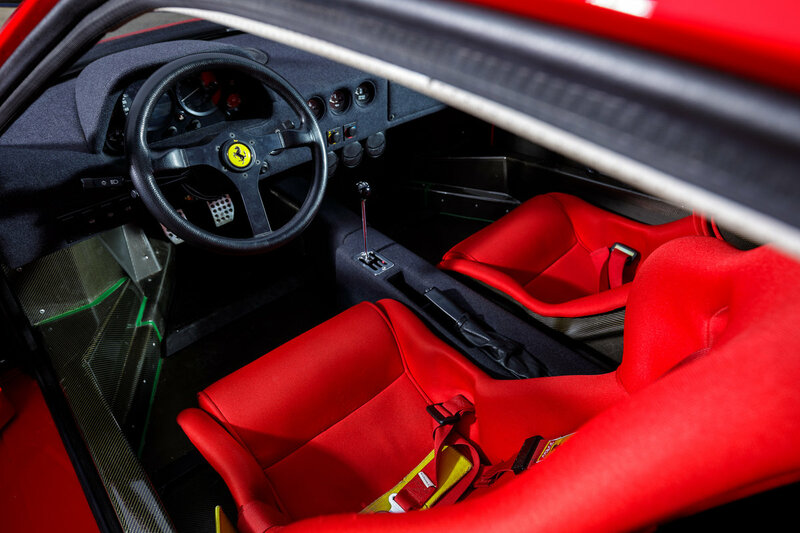 Comprising eleven panels made from Nomex, Kevlar and Carbon composite with a heavily ventilated Plexiglas rear windscreen. April 1991, August 1994 (15,211 kms) October 1997 (21,336 kms) September 2001 (25,469 kms) February 2014 (28,088 kms) January 2019 (28,107 kms). The most recent work in 2019 by specialist Bob Houghton was a full maintenance service which included replacing cam belts and auxiliary belts, filters, battery, plugs and a fresh MOT certificate. Chassis 86745 has also recently been submitted for red book certification. A really decent example ready for immediate use. 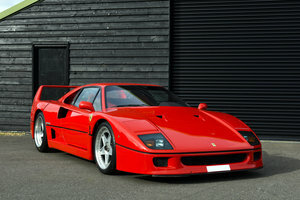 Ferrari Independent Specialist McGurk Performance Cars are looking to buy you well cared for Ferrari. We hold a stock of over 40 Aston Martins at any one time, we are always looking to buy excellent examples. Please call John McGurk 01926 691000 with the details of your well cared for car. REF. 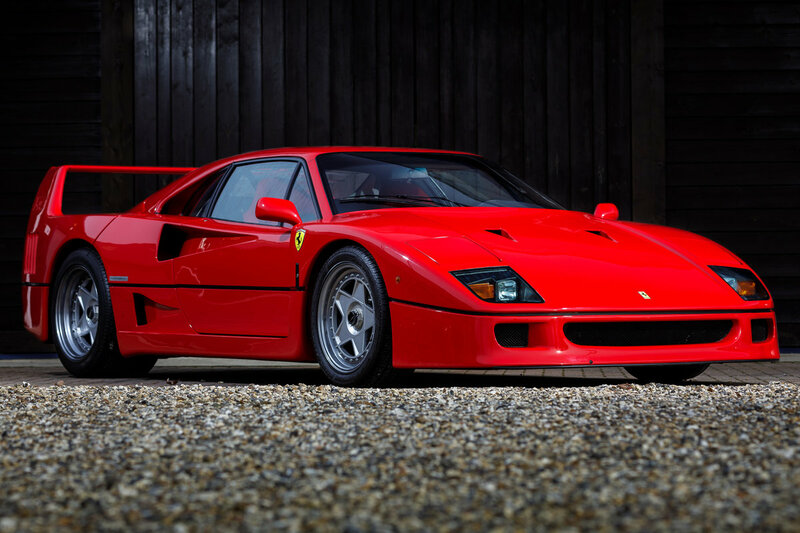 DGBKRD This is a 1 of 25, the first 25 off the production line in 1987.NON CAT NON ADJUST, 14000KM, one owner.contact for more details.DIRECT BUYERS ONLY. 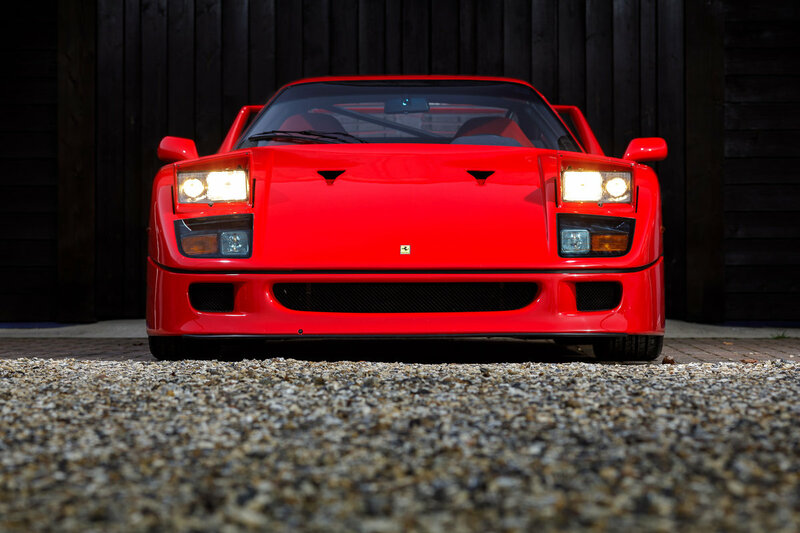 PLEASE NOTE, THIS IS NOT THE CAR'S PHOTO IN THE ADVERT. REF. 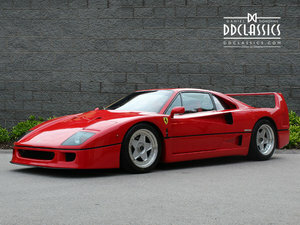 DDPFD This is a fabulous early 1992, plexi glass, cat and adjust,red interior. 28000km. pictures on request only. Please note the picture advertised is not the car for sale. 1/19 Official cars made. restored fresh service done recently SERIOUS BUYERS ONLY PLEASE. PLEASE no brokers, principals only. PLEASE CONTACT WITH PHONE NUMBER. NO PHONE NUMBER, NO REPLY.